Die Ausgabe weißt die üblichen Gummipunkte rückseitig auf. Land: Curacao. Wir sind Mitglied folgender Briefmarken Fachverbände: APHV - BDPH - IFSDA - ÖBMHV - PTS. Sie entstehen können. EUR 400,00. Face value: ANG 834.75 = appr. EUR 400.00 - Save 50 % on face value. Gewicht / weight ca. 1650 gr. Up for auction is a beautiful early early ! 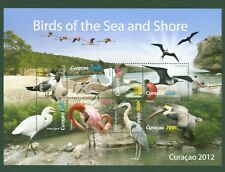 airmail first flight cover from Curacao to New York USA via Cristobal Canal Zone . Beautiful stamps and cancels. Postmarked June 24, 1929. In excellent condition. Priced to sell. FAM 5 Shipping will be a flat $2.00 within the continental U.S. for USPS mail. Overseas airmail shipping is $3.00. Questions? Please contact me at: azteccollectables at hotmail.com. Check out my other online auctions of rare and vintage stamps. My e bay store, Aztec Collectables, has a fine and growing selection of unique covers, stamps and postcards. Please make pay arrangements within 72 hours of winning the auction. I will combine shipping on multiple wins, if you want combined shipping wait until I invoice you. (Curacao 2018 Flowers - Mint Never Hinged (MNH). Set of 8 values (8v Set): 86c, 122c, 180c, 190c, 285c, 425c, 443c, 690c. You will be back for more! 3) Select each item and 'Add to Basket'. (Curacao 2018 Freewinds - Mint Never Hinged (MNH). Set of 2 values (2v Set): 122c, 180c. You will be back for more! 3) Select each item and 'Add to Basket'. (Curacao 2018 Freewinds - Mint Never Hinged (MNH). Sheetlet with 1 value (1v M/S): 300c. You will be back for more! 3) Select each item and 'Add to Basket'. 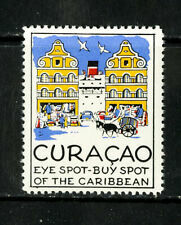 Up for auction is a beautiful cover from Curacao to Ashland Ohio USA . In excellent condition. Postmarked October 13, 1938 . Nice stamp and cancel. Over the Dutch ship KNS SS baralt. Saba return address. Shipping will be a flat $2.00 within the continental U.S. for USPS mail. Overseas airmail shipping is $3.00. Questions? Please contact me at: azteccollectables at hotmail.com. Check out my other online auctions of rare and vintage stamps. My e bay store, Aztec Collectables, has a fine and growing selection of unique covers, stamps and postcards. Please make pay arrangements within 72 hours of winning the auction. I will combine shipping on multiple wins, if you want combined shipping wait until I invoice you. /gestempelte Partie mit Mi Nr. Interne Art.Nr. : 31371. Up for auction is a beautiful early early ! 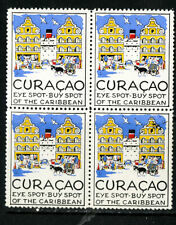 airmail first flight cover from Curacao to the us consul in port cabello Venezuela Beautiful stamps and cancels. Postmarked March 11, 1930. In excellent condition. Priced to sell. FAM 5. Shipping will be a flat $2.00 within the continental U.S. for USPS mail. Overseas airmail shipping is $3.00. Questions? Please contact me at: azteccollectables at hotmail.com. Check out my other online auctions of rare and vintage stamps. My e bay store, Aztec Collectables, has a fine and growing selection of unique covers, stamps and postcards. Please make pay arrangements within 72 hours of winning the auction. I will combine shipping on multiple wins, if you want combined shipping wait until I invoice you. Up for auction is a beautiful early early ! 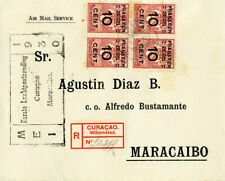 airmail first flight cover from Curacao to Cristobal Canal Zone . Beautiful stamps and cancels. Postmarked June 23, 1929. In excellent condition. Priced to sell. FAM 5 Shipping will be a flat $2.00 within the continental U.S. for USPS mail. Overseas airmail shipping is $3.00. Questions? Please contact me at: azteccollectables at hotmail.com. Check out my other online auctions of rare and vintage stamps. My e bay store, Aztec Collectables, has a fine and growing selection of unique covers, stamps and postcards. Please make pay arrangements within 72 hours of winning the auction. I will combine shipping on multiple wins, if you want combined shipping wait until I invoice you. Up for auction is a beautiful early early ! 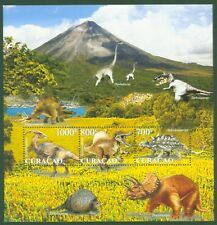 airmail first flight cover from Curacao to Maracaibo Venezuela Beautiful stamps and cancels. Postmarked May 6, 1930. In excellent condition. Priced to sell. FAM 5. Shipping will be a flat $2.00 within the continental U.S. for USPS mail. Overseas airmail shipping is $3.00. Questions? Please contact me at: azteccollectables at hotmail.com. Check out my other online auctions of rare and vintage stamps. My e bay store, Aztec Collectables, has a fine and growing selection of unique covers, stamps and postcards. Please make pay arrangements within 72 hours of winning the auction. I will combine shipping on multiple wins, if you want combined shipping wait until I invoice you. Curacao Cinderella. Unmounted Mint Condition, part gum only. Buy Spot of The Caribbean. (Curacao 2016 Numbers - Mint Never Hinged (MNH). Set of 6 values (6v Set): 66c, 86c, 121c, 179c, 308c, 440c. You will be back for more! 3) Select each item and 'Add to Basket'. Up for auction is a beautiful diplomatic cover from The Haiti consulate in Aruba to san Nicolas island . In excellent condition. Postmarked October 30, 1944. Nice stamp and cancel. Shipping will be a flat $2.00 within the continental U.S. for USPS mail. Overseas airmail shipping is $3.00. Questions? Please contact me at: azteccollectables at hotmail.com. Check out my other online auctions of rare and vintage stamps. 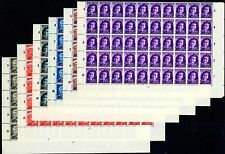 My e bay store, Aztec Collectables, has a fine and growing selection of unique covers, stamps and postcards. Please make pay arrangements within 72 hours of winning the auction. I will combine shipping on multiple wins, if you want combined shipping wait until I invoice you. Netherlands Antilles Revenue. Duty Stamp. Here are the details for this lot. 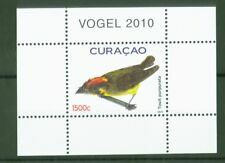 (Curacao 2014 World Cup in Brazil - Mint Never Hinged (MNH). Sheetlet with 6 values (6v M/S): 150c, 200c, 250c, 300c, 350c, 400c. 3) Select each item and 'Add to Basket'. Curacao 2015 World War I (1914-1918) Lest We Forget - Mint Never Hinged (MNH). Sheetlet with 4 values (4v M/S): 250c, 350c, 450c, 550c. You will be back for more! Here are the details for this lot. Average Used Condition, light hinge remains, small central thin. ((440c) - Luis Daal. (684c) - Frank Martinus Arion. Curacao 2017 Writers - Mint Never Hinged (MNH). Set of 6 values (6v Set) You will be back for more! 3) Select each item and 'Add to Basket'. 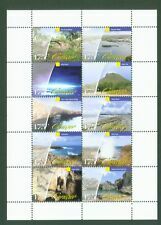 Curacao 2014 200 Years Kingdom of the Netherlands - Mint Never Hinged (MNH). Set of 5 values (5v set): 150c, 200c, 250c, 300c, 350c. You will be back for more! Satisfait ou remboursé. voir les conditions plus bas dans l'annonce. Si vous remportez plusieurs lots, vous ne paierez qu'une fois le port pour un envoi groupé. Possibilité de valeur déclarée pour montant supérieur.